In 2018, after almost 20 years, The Wetlands Institute will be handing the reigns of State Coordinating Host Site to The Tuckerton Seaport and Baymen’s Museum with assistance from the Forsythe National Wildlife Refuge. Submission due date is February 15! “I’m honored that the judges liked my piece!” says Paige Min. At age 14 she is a life-long resident of New Jersey, currently residing in Tenafly and studying art at One Art Studio in Norwood. 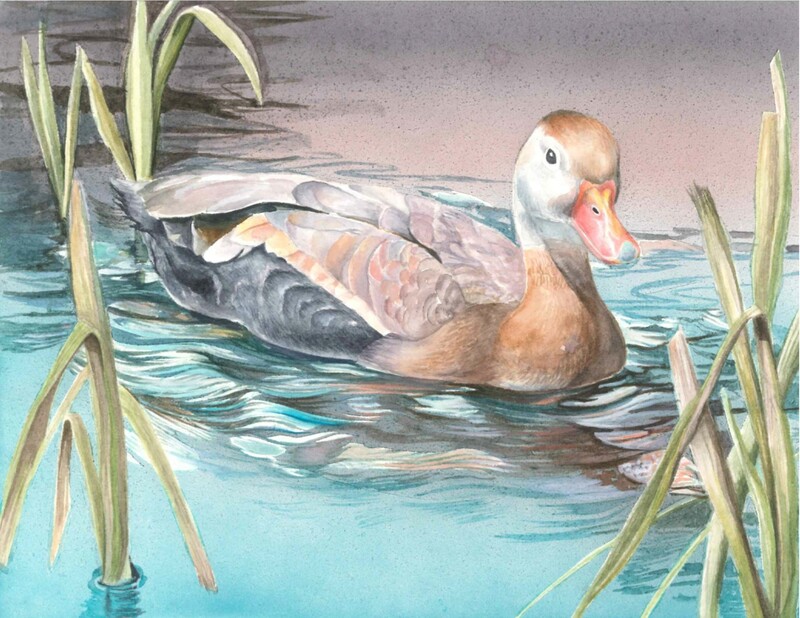 “I chose the Black-bellied Whistling Duck because it looked cute and quirky. 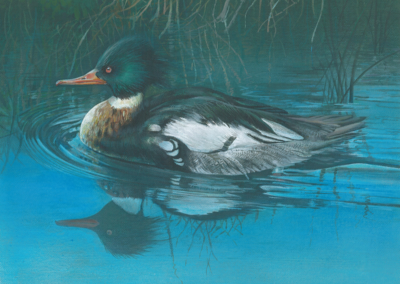 The Junior Duck Stamp art competition was only her second submission after winning a Silver Key and Honorable Mention in the Scholastic Art competition. Paige is currently designing bird houses for Habitat for Humanity of Bergen County’s birdhouse auction. In addition to her art, Paige enjoys skiing and swimming. 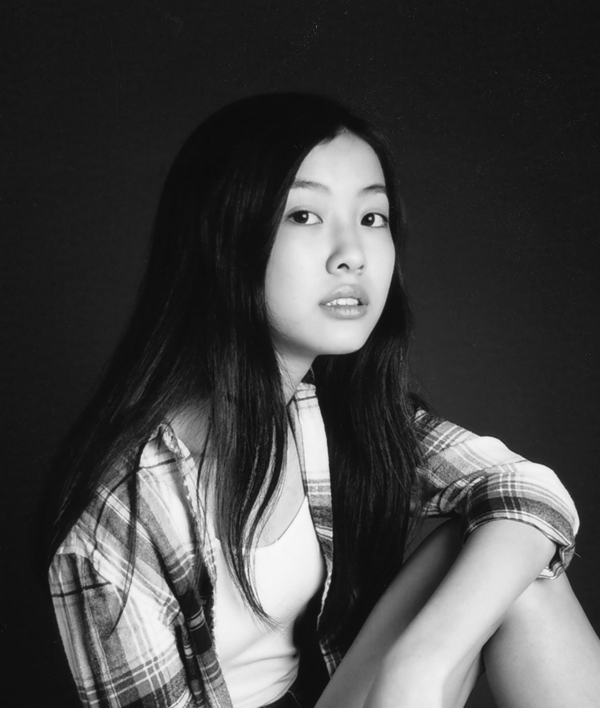 She has been studying piano for the past seven years and is very passionate about singing in her school concert. She has been participating in Bergen County and North Region NJ Choir since middle school. Recently she performed with her chamber choir at the Isaac Stern Auditorium in Carnegie Hall. 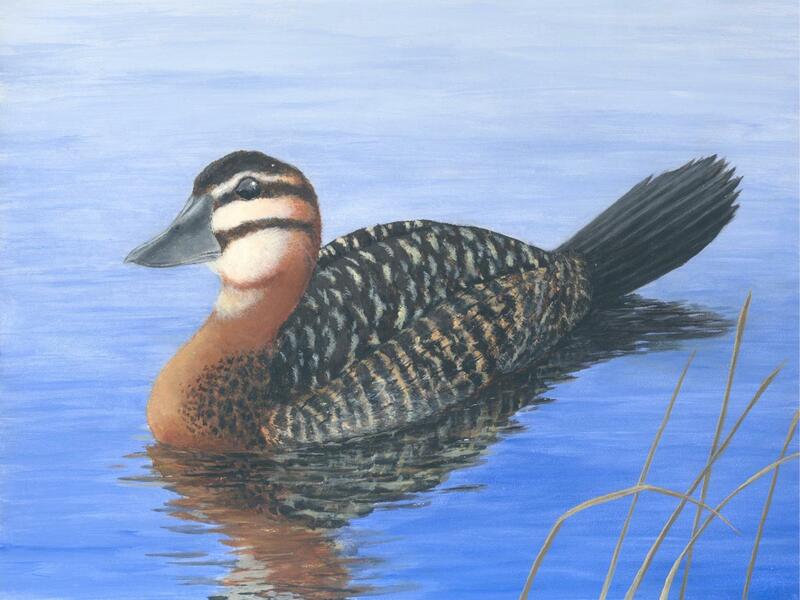 The Wetlands Institute is the official State of New Jersey site for Junior Duck Stamp entries and judging. 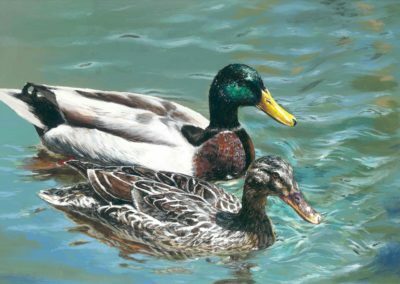 Congratulations to all students who entered the 2017 New Jersey Junior Duck Stamp Competition. All of our entries were beautiful interpretations of waterfowl that the students studied and learned how to draw. This year there were 169 entries received from children all over New Jersey. From April 2017-March 2018 an exhibit of the top thirty-six winning original works, including New Jersey’s Best of Show, will be sent on tour around New Jersey in a variety of venues, while a display of the artwork will be on permanent exhibit at The Wetlands Institute. 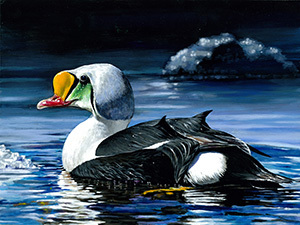 The Federal Junior Duck Stamp Conservation and Design Program is an integrated science, art, and social studies curriculum developed to teach environmental science and habitat conservation. A Junior Duck Stamp design is a “term paper” in which students use visual rather than verbal articulation to show what they have learned. Participants select a species of North American waterfowl, research the species and its habitat, then depict the waterfowl in an artistic medium. K-12 students attending public, private, or home schools in the United States are eligible to enter; so long as they are U.S. citizens, resident aliens, or nationals. First Place National Winner receives a $1,000 cash award and a free trip to participate in the First Day of Sale ceremony in Late June or Early July. Entries are judged in 4 grade groups (K-3rd, 4th-6th, 7th-9th, and 10th -12th), with three first place, three second place, three third place, and sixteen honorable mention ribbons awarded. The state Best of Show is selected from the 12 first place winning designs and competes in the national competition in Washington, DC. All National and State winning designs are on display during the year and are returned to the students the following spring. 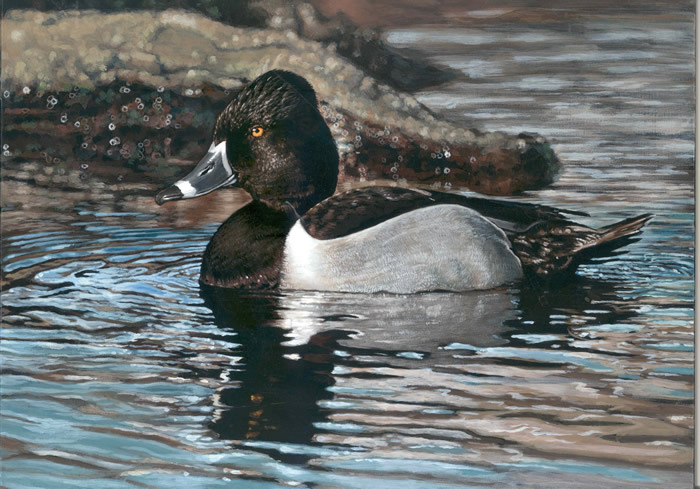 Be sure to check the US Fish & Wildlife Service Federal Junior Duck Stamp Program web site each year, to get up to date artwork requirements, permitted species, and National awards information. 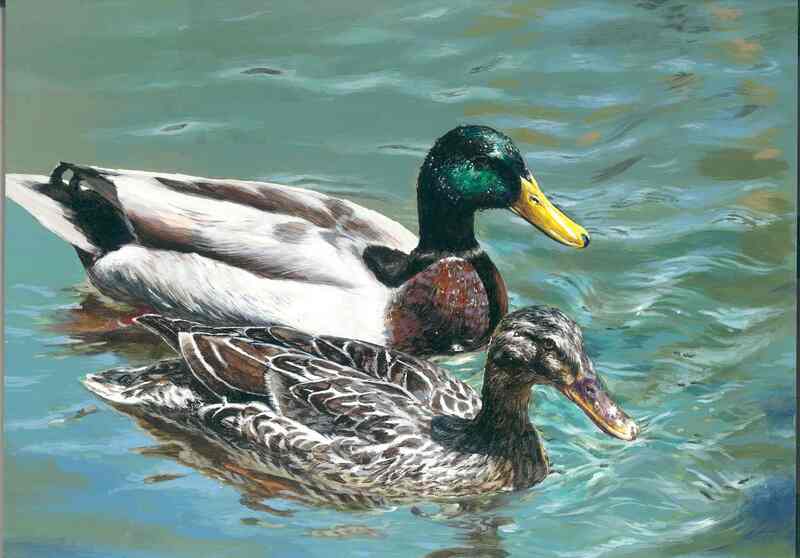 The submission date for the 2018 New Jersey Junior Duck Stamp is February 15. Looking for a unique holiday gift idea? Consider giving duck stamps!